Autumn is in full swing Down Under. While the days may be cooler, the fashion is, as always, still red hot in Australia. The changing season simply marks a shift in trends and style. And who doesn’t love ushering in a new season of exciting, fresh looks? 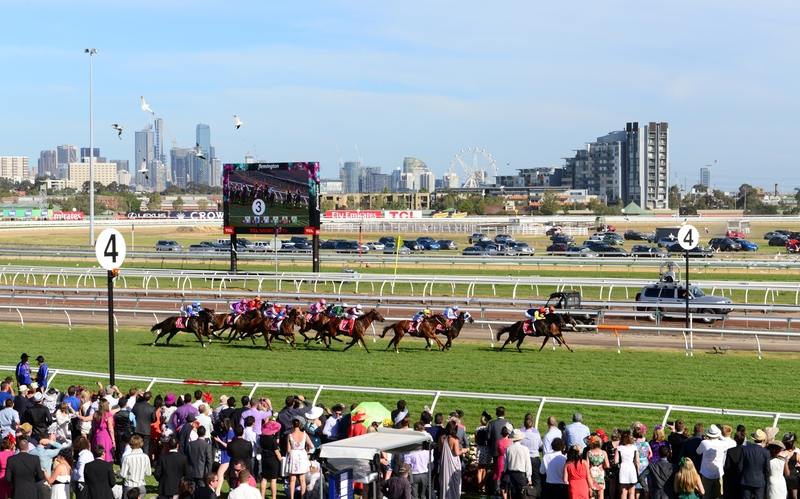 As for the season’s latest and greatest, there’s no better place to see it or be seen in it than the Autumn Racing Carnival in Victoria—an eight-week horse racing extravaganza across Melbourne held at Caulfield, Flemington, and Moonee Valley race venues. Combine the autumnal haute couture, sophisticated culinary experiences, and the art of weighing the odds of horses in the race, and it’s easy to see why the Autumn Racing Carnival events are perfect gatherings for the socially inclined. Selecting the best outfit possible, whether for the Australian Cup or William Reid Stakes Day, requires careful consideration. So, what should you wear? First things first. What to avoid, and what’s out? Autumn can bring cold weather, and outfits might need to reflect that – or they might not, given the day. Melbourne’s weather can leave you guessing, so be prepared. The best way to strike a balance is with layers and the proper choice of material. Felt is traditionally popular for the autumn races, but right now it’s very off-trend–leather and silk are better starting points, as they can match with a variety of styles, garments, and seasons. Besides felt, modest, full-length, and conservative are not the styles prevailing at the moment – so avoid anything that enshrouds and hides your whole body. Right now, it’s all about shiny statement pieces paired with classic elements. Clunky, uncomfortable shoes aren’t included–the fashion-forward this year are wearing statement jewelry pieces and classy, comfortable shoes. Come spring, floral patterns and pastels will be en vogue, along with mid-length hemlines. As for autumn, stunning and bold pantsuits, structured hats made of wool or leather, and off-the-shoulder jackets are recommended. It’s all about saying a lot with not as much. A hat makes or breaks the look. Picking the right hat is less about following strict rules and more about relying on your personal style and sense for balance. Is your look classy and simple? Then a bolder, more eye-catching hat is appropriate. But keep in mind, the same hat might bring things over the top when paired with a show-stopping pantsuit. As the overall trends continue towards tastefully, showy minimalism, remember to incorporate it into your headwear. That means a diligent search for a high-quality piece that will last many seasons, slick hats with a bold look, and silk and leather attention-grabbers in elegant, simple outfits. And remember– risk-taking is how fascinators come to earn their name, but make sure select a hat that matches your personality and confidence. Bigger and more dramatic are not always better – especially right now, as less continues to be more. Elegant and understated will provide you with an outfit you’ll look back at fondly when you see pictures in a few years. Play with the rules. Just because minimalism is having a moment doesn’t mean you need to be boring. It just means you need to figure out how to make a statement without all the extra fabric. The most important rule, well the only rule really, is to have fun and be yourself. Your personal style is the best guide there is. Review the trends, take your time, and trust your instincts. You’ll look fabulous! Finding your right outfit among this season’s trends doesn’t have to feel like a burdensome chore. There are plenty of contemporary looks that will nicely align with your personal style. 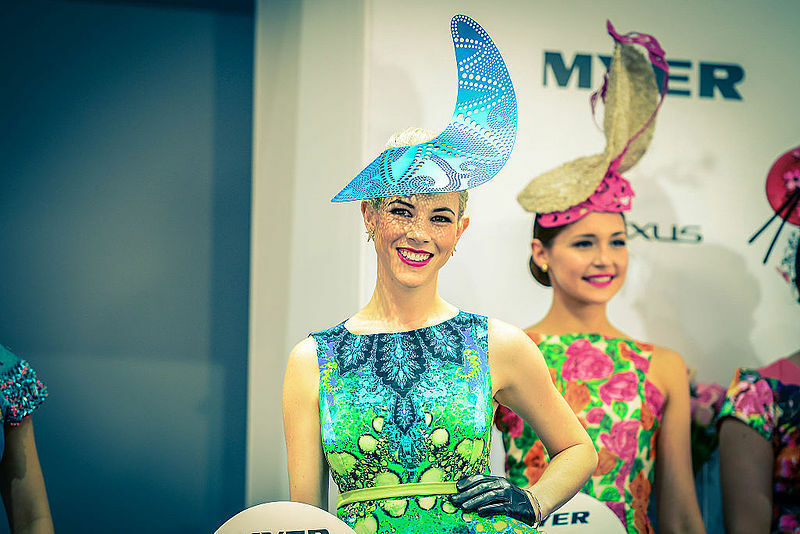 Keep our timely tips in mind, play around with accented minimalism, and you’re guaranteed to be the outstanding fashionista of your group at Autumn Racing Carnival events!